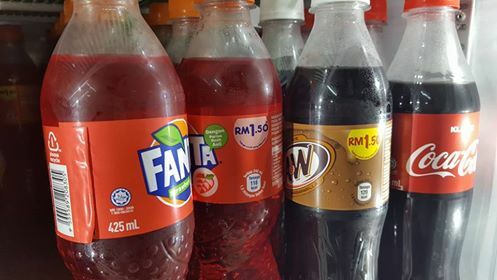 Coca-Cola Malaysia now has four beverages featuring the Ministry of Health’s Healthier Choice Logo (HCL) on their packs. The four beverages are Coca-Cola Zero Sugar, Coca-Cola Light, Heaven & Earth Jasmine and Heaven & Earth Ayataka (sugar free). The new Coca-Cola Zero Sugar uses the sweeteners sucralose and acesulfame K to replace Coca-Cola Zero, which was previously formulated with aspartame, a sweetener where there is an ongoing debate about its safety. The official explanation is the new sweeteners will ensure the drink matches the taste of the original Coca-Cola minus the sugar. In addition to the HCL, Coca-Cola Malaysia has introduced the new 330ml in PET, previously in 390ml PET. 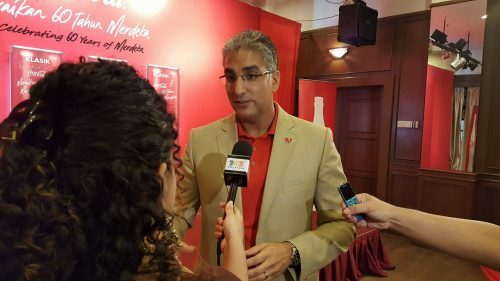 Lowering the volume is “a consequence of we want to make sure we are giving small packs for our Malaysian consumers so they can enjoy without really getting worried about the amount of sugar they are getting,” explained Ahmed Yehia country manager for The Coca-Cola Company Malaysia-Singapore-Brunei. He said this on the sideline of the launch of Coca-Cola Malaysia’s Independence Day commemorative can on 22 August 2017. The 390ml, which was previously selling at RM 1, was “there to give an opportunity to Malaysian consumers to try our products,” said Ahmed. According to Ahmed, the entire on-alcoholic beverage market in Malaysia is slowing down in 2017. This is a continuation from the end of 2016. The actions of Coca-Cola Malaysia demonstrate the beverage company, which is also the leading carbonated soft drink player in the country, understood the need to play an active role in public health. The company is lowering the volume and is giving consumers more information through the HCL to enable consumers to make an informed choice.